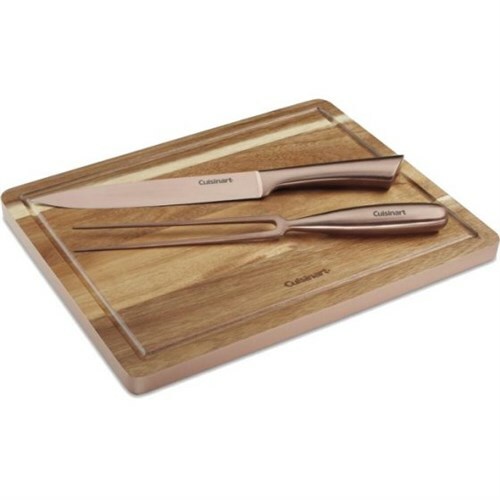 The Cuisinart C77SSCS-3P is a 3-piece Rose Gold Carving Set which makes beautiful addition to any table. the rose-gold plating provides an uplifting look. 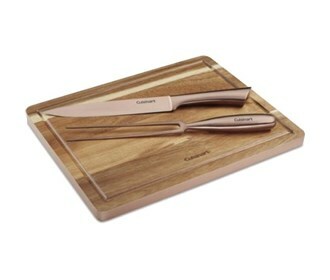 The stainless steel handle on the provides firm grip. The board is also rimmed with rose gold for an elegant touch. The board is also rimmed with rose gold for an elegant touch. The Cuisinart C77SSCS-3P has many exciting features for users of all types. See the Cuisinart C77SSCS-3P gallery images above for more product views. The Cuisinart C77SSCS-3P is sold as a Brand New Unopened Item.